A collaborative engineering approach for requirement elicitation was studied. Tacit knowledge and social acceptance in terms of requirements was studied. A tool (MUSTER) including a requirement elicitation method was developed. There was an extension for business assessment and the development of a collaborative structure (AIRBUS, ASTRIUM, PSA), with the University of Technology of Sydney. A joint dissertation conducted with the University of Technology of Sydney (Chad Coulin, September 25, 2007) opened new opportunities in the field. Based on the search for critical scenario algorithm that we developed, the ESA/PN tool allows the modeling of a hybrid system thanks to temporal or differential-predicate-transition Petri Nets. It is interfaced to the TINA PNs analysis tool, developed at LAAS. For a given feared state, ESA/PN provides all the critical minimal scenarios as partial order graphs. The tool is available for the scientific community on the LAAS browser (www.laas.fr/ESA). This translation tool allows automatic generation of differential-predicate-transition Petri Nets in a VHDL-AMS description. From the Petri Nets textual description, the translation tool execution generates automatically the corresponding VHDL-AMS code. 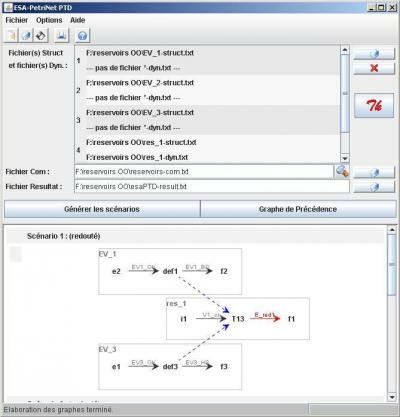 The resulting VHDL-AMS code can be directly compiled and simulated with a simulation tool. 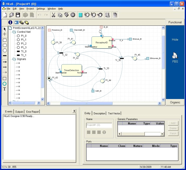 HiLeS tool is a system design assistance environment using Windows ®. The system's structural component behavior is specified by Petri Nets. Each terminal component is described in VHDL-AMS. Interfacing with TINA tool allows a formal analysis of the PN structure. With the translation of PNs into VHDL-AMS, the system's temporal analysis by simulation is possible using SystemVision ® of Mentor Graphics ®.